Azerbaijan’s state budget revenues amounted to 16,089.7 million manats in January-September 2018, which is 33.6 percent or 4,044.6 million manats more than in the same period of last year, Azerbaijan’s Finance Ministry said in a message. The state budget revenues in the reporting period were fulfilled by 1.3 percent more than the forecast. 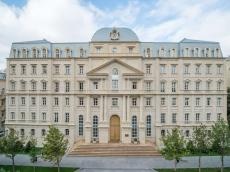 The state budget revenues from the Azerbaijani Ministry of Taxes amounted to 5,305.7 million manats, which is by 80.9 million manats, or by 1.5 percent more than in the same period of 2017. Of this, 65.8 percent (3,491.2 million manats) accounted for revenues from Azerbaijan’s non-oil sector. The state budget revenues from the State Customs Committee of Azerbaijan amounted to 2,600.4 million manats, which is 33.2 percent (648.8 million manats) more than in the same period of last year. In addition, in January-September 2018, 321.5 million manats entered the state budget from chargeable services of the organizations funded from the state budget and 74.1 million manats accounted for other revenues. The State Oil Fund of Azerbaijan (SOFAZ) transferred 7.788 billion manats to the country’s budget. Expenditures of Azerbaijan’s state budget in January-September 2018 amounted to 15.666 million manats, which is 22.5 percent or 2,882.3 million manats more than in the same period of 2017. In January-September 2018, 34.5 percent (5,410.1 million manats) of Azerbaijan’s state budget expenditures were of social purposes, which is 11.2 percent or 545.1 million manats more than in the same period of 2017. These funds were allocated to the wage fund, for the payment of scholarships and social allowances, medicines and food expenses, according to the ministry. Some 49.2 percent (7,708.8 million manats) of state budget expenditures accounted for current costs, 39.8 percent (6,235.4 million manats) - capital expenditures. A surplus worth 423.7 million manats was formed in the state budget of Azerbaijan during the reporting period. The revenues of the consolidated budget amounted to 23,859.6 million manats, expenditure – 17,979.9 million manats. Surplus of the consolidated budget amounted to 5,879.7 million manats.